Rewards Canada: IHG Rewards Club Accelerate returns for Winter 2018 - Earn lots of bonus points for your IHG stays! The Fall Accelerate bonus isn't over yet as it goes until the end of December but if you don't have any IHG stays planned until the New Year don't fret as the latest Accelerate offer for the start of 2018 has been released! As we have seen each Accelerate promotion they come out with new personalized offers for each member. The total bonus available per member ranges from a minimum of 30,000 points to well past 100,000. You can register for Accelerate here. Once again based on what I believe our travels will be during the promotional period I am not going to go out of my way to achieve the whole amount. 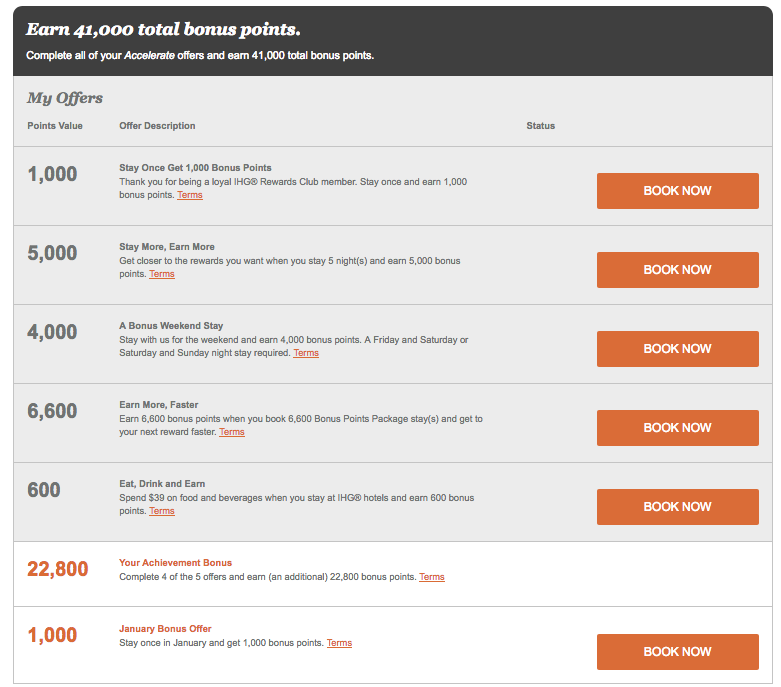 Even staying 5 nights in total for 5,000 points would be tough. In all likelihood I'll maybe the achieve the stay once bonus of 1,000 points and maybe the weekend bonus.